I WON THE 2ND PROVING GROUNDS AT PAX UNPLUGGED IN PHILADELPHIA AND GOT A SEAT AT WORLDS!!!! Phoenix with Crane splash. Please comment! I appreciate any suggestions. Crane is the best influence hands down! Scorpion and lion gave me a little bit of trouble. 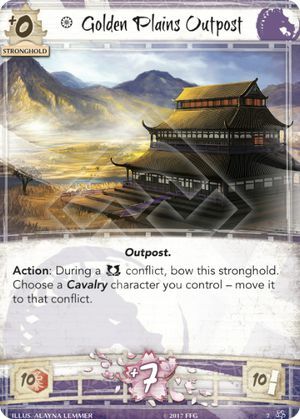 I mainly win through dishonor because I bid 1 every turn but against scorpion I find it better to go military and bid high when I can. Phoenix with Unicorn splash. Please let me know what you think I am open to suggestions. 1st win was a time win, all other wins were by Dishonor. The 2 first rounds were won by dishonoring against lion and dragon and the rest 3 by breaking their Stronghold. The games were fast ( 'cause of Phoenix Splash). 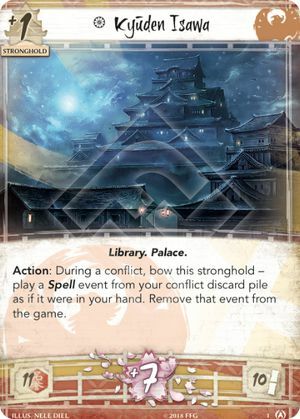 When i started playing Crane i was testing them with Scorpion Splash for board control but the games were too slow and most of the losses were by dishonoring. The game was even from the beggining until the end, but spending more fate on my characters (control) was the key to break his stronghold as he had only 3 against 6 of mine. I was nearly dishonored but the draw mechanics and Kakita Asami saved my game. (MVP especially against scorpion decks). I played again with my best friend which i met in the swiss. It was a tough game. I pushed him very hard, but it wasn't enought to break his stronghold, that i attack twice. I lost against a heavy military attack when he played the last card from his hand. Third overall and top Dragon at Worlds 2017. Pressure your opponents honor. 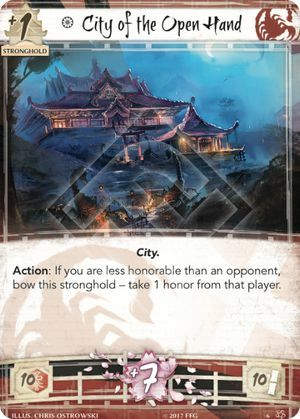 Bid low on card draw and use cards like Watch Commander, Court Games, Levy and even Duelist Training to increase the honor pressure to force your opponent down to zero honor. 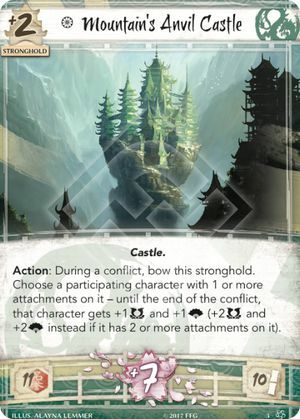 No Shadowlands or Maho, as per the tenets of the Jade Hand. 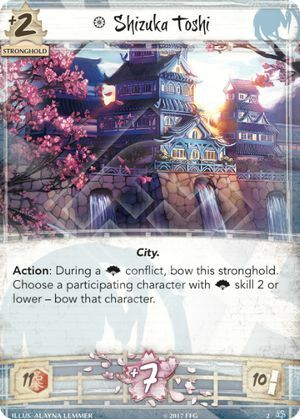 Deck finished in the Semifinals of the 2018 Seattle Grand Kotei. It lost to the winning Crab deck in an extremely close match. Aggressive Unicorn aggro deck looking to outmaneuver opponents and quickly smash their provinces before taking down the stronghold. I played against 3 scorpion, 2 lion, 1 crane. I lost from a scorpion 'cause i missplayed, otherwise i think i would have won it. I lost from the winner of the tournament, which i practiced with in previous days. He did some last changes in his deck and that was enough to win me with the element of surprise. 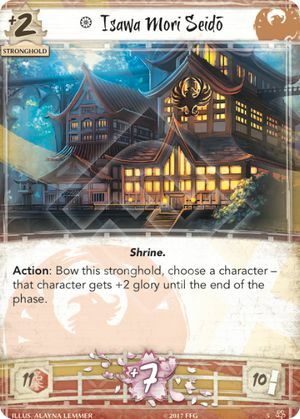 Dragon deck with Crane splash. Please comment. I appreciate any suggestions. Phoenix with Crane splash. Please comment! I appreciate any suggestions. Third round I lost vs a lion(7th turn) that had a magistrate that pretty much made me something less than nothing xD and i had no rout,both of us hit eachothers stronghold twice. 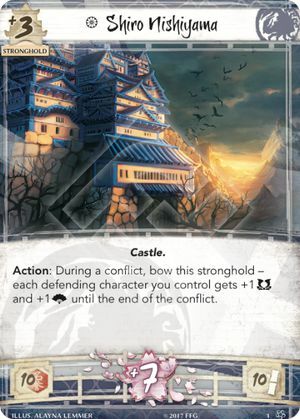 Fifth round was vs a phoenix that got me pretty low on honor but i had a stronghold break at turn 4 after getting him choked by card and field pressence. Sixth round was a hard but fast game(21 min game) vs a scorpion we both had assasinations being played in turn 1 and 2 getting us to 3-4 honor each round we bid low so we had dynasty control,mines and a good court games won the field pressence so i got a stronghold break in round 5. 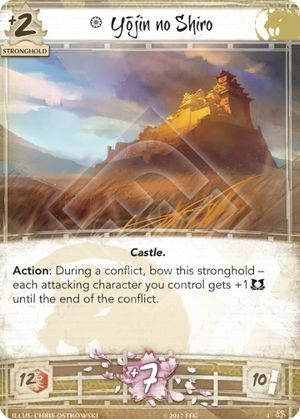 Top 8 match was the most difficult game of the tournament for me.Crab vs Crab.I broke 4 provinces i had never bid 1 in the whole game but still had some honor left. I broke 3 provinces with iron mines on them so i could get the field pressence and pressured his card draw. he had early keeper iniciates so i focused on getting the earth ring in both offence and defence.I broke his stronghold at turn 10 with a force of 27. I played vs a very good player from our country the only one that had a 6-0 on swiss.I had a good dynasty/conflict but i tried to rush it down to his stronghold so i made a few missplays in the proccess that made me lose some key units early. I had no other choice but get a high bid to get me saved. Lost by dishoning eventually. Reject the "jack of all trades/master of none" approach and capitalize on Scorpion's natural strengths by further developing their already impressive ability to control your opponent's resources. 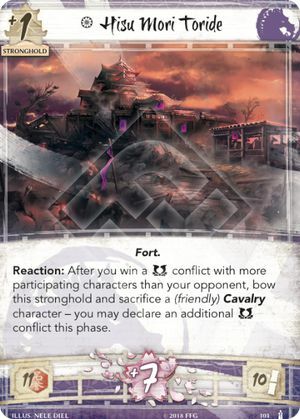 This is a lion Honor Deck. Has demonstrated ability to win both through honor and military.